there's no combination of words i could put on the back of a postcard to sum up my short vacation in barcelona. i can barely put my feet back on the ground, this is how much i loved and enjoyed the time spent there. 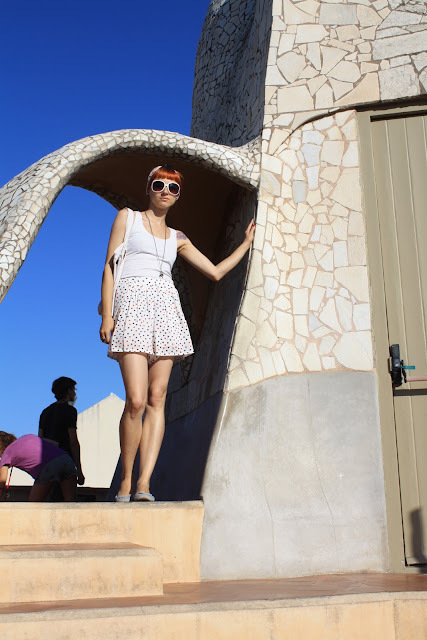 barcelona is such an amazing city: colorful, sunny, noisy (which was charming at first but turned out to be not so amusing in the end), friendly, charming, delicious. i went there together with my best friend and it was so great to be able to share this with her as we live in different cities and do not see each other very often. we went on a visiting tour de force, trying to see as many things as possible and absorb as much visual information as possible and then spent a day at the beach. photos will follow tomorrow, don't get anxious. 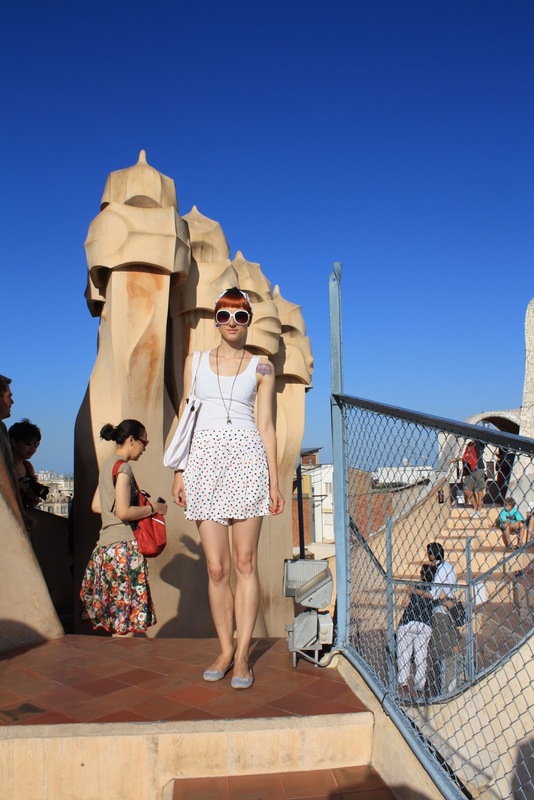 i thought i would start off with a little number i wore during our first full day in barcelona. 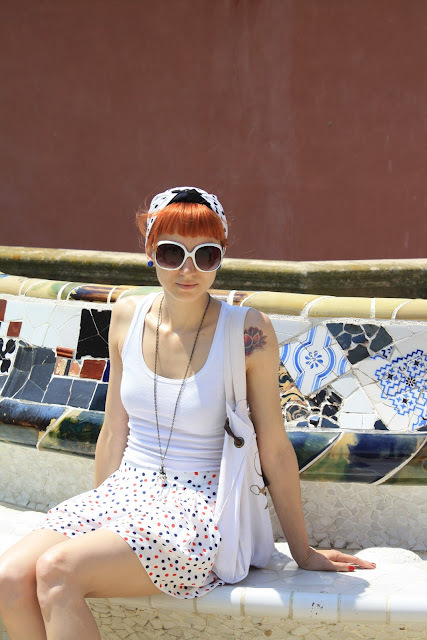 i wore a white tank top with a pair of polka dot shorts (yes these are shorts indeed), comfy flats and a polka dot turban. 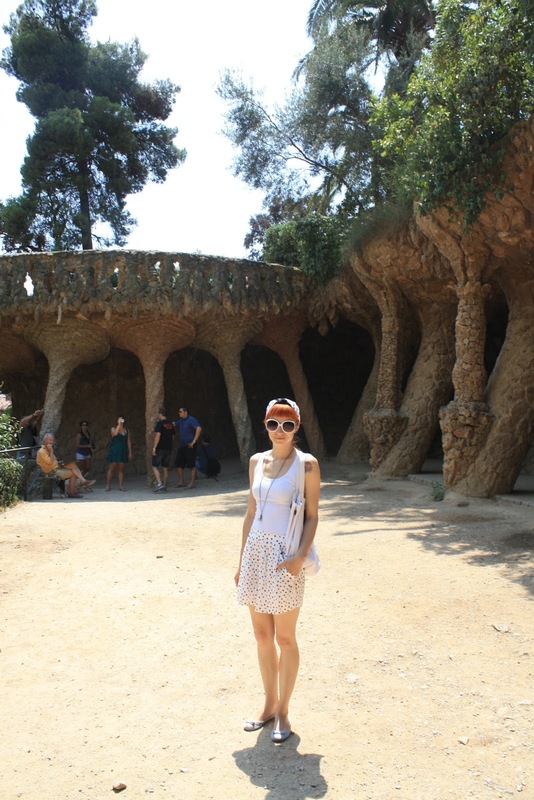 these pictures were taken at parc guell and the rooftop of la pedrera, two of gaudi's masterpieces. Barcelona is such a beautiful city, and you were so stylish while visiting it!